Customer hands "not being forced"
HP has announced that, from February 19 2014, customers will be require a valid warranty, Care Pack Service or support agreement in order to receive firmware or service pack updates for its ProLiant range of servers. In a blog post on its website, the company was keen to stress that it would continue to provide an easy means for customers to download updates. "This decision reinforces our goal to provide access to the latest HP firmware, which is valuable intellectual property, for our customers who have chosen to maximize and protect their IT investments," wrote Mary McCoy, vice president for servers and support. According to McCoy, HP's intention is to offer long-term value in their products. "We are in no way trying to force customers into purchasing extended coverage. That is, and always will be, a customer's choice," she wrote. 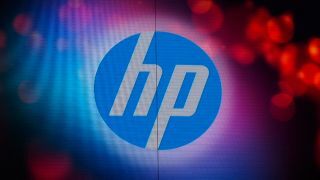 HP has acknowledged that the move is a change to how it has previously operated, with updates previously downloadable regardless of a customer's warranty, Care Pack or support status. The company contends that the move brings it in line with industry best practices. Customers had previously been notified by email of the impending change and HP has published an FAQs page that provides further information. Tech trends for 2014: what's in store this year?